Please remember that I am always open to requests for specific colours. I will always do my best to accommodate, as I have over 60 bottles of China Glaze. My first comparison swatch is going to be between Red-Y & Wiling 81359 (Autumn Nights Collection) and Cowgirl Up 80880 (Rodeo Diva Collection). 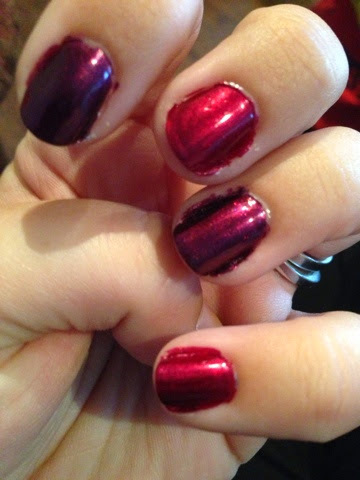 They both look the same in the bottle, but, as you can see, look very different on the nails. red-y and willing is a nice red! thanks for sharing!